You can set a specific profit margin for each client. This is a percentage and is added to your cost price. 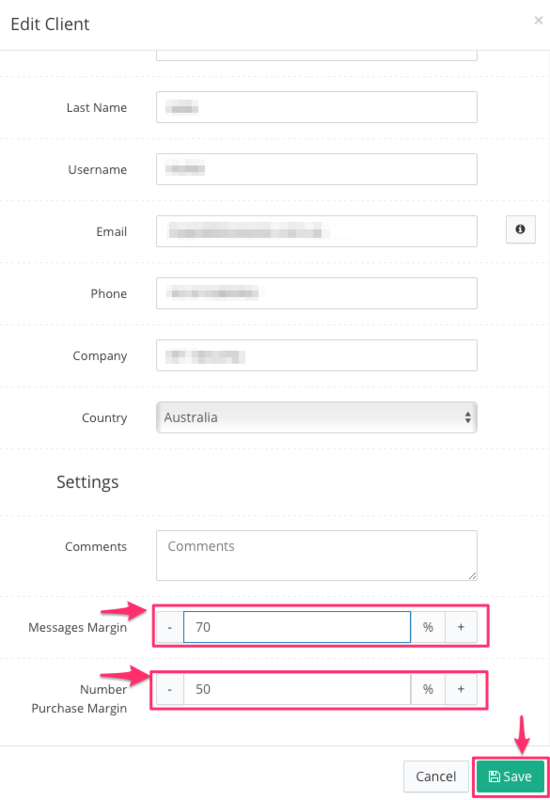 Adjust the 'Messages Margin' and 'Number purchase margin'. The messages margin will be applied to all messages across all products. 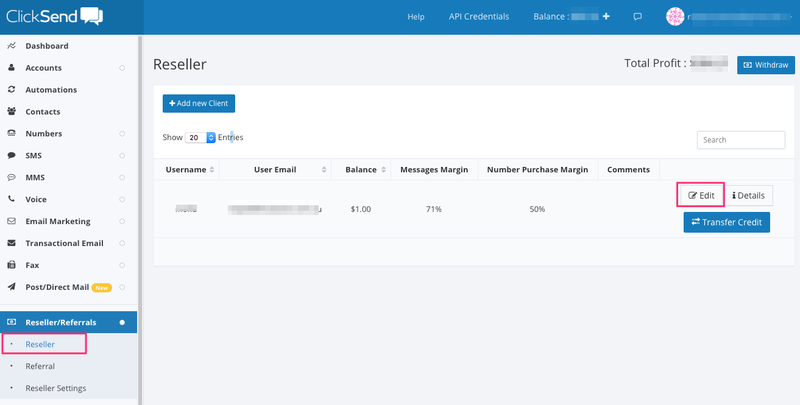 The Number Purchase Margin will be applied to any dedicated number purchases.